I am sleeping so sweet, so calm. And what a … is going here? I am woken up at 08:00 am by music of orchestra. Some orchestra is playing close to my window. Barbórka!! 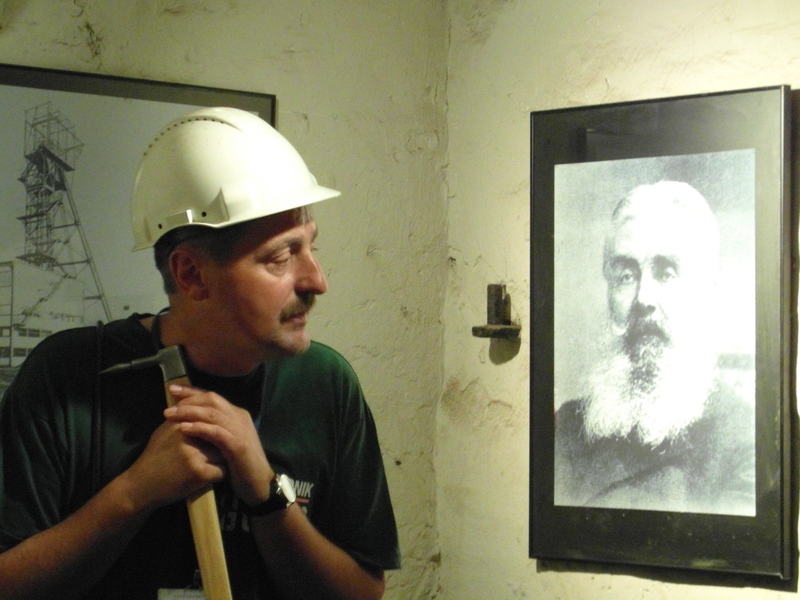 Barbórka or St.Barbara Day – it is the holiday of miners on 4 of December. Because St.Barbara is the patron of miners. I get dressed, take camera and run outside. Make several circles around Nikiszowiec and I finally find object which woke me up near the administrative office of mine (pol. 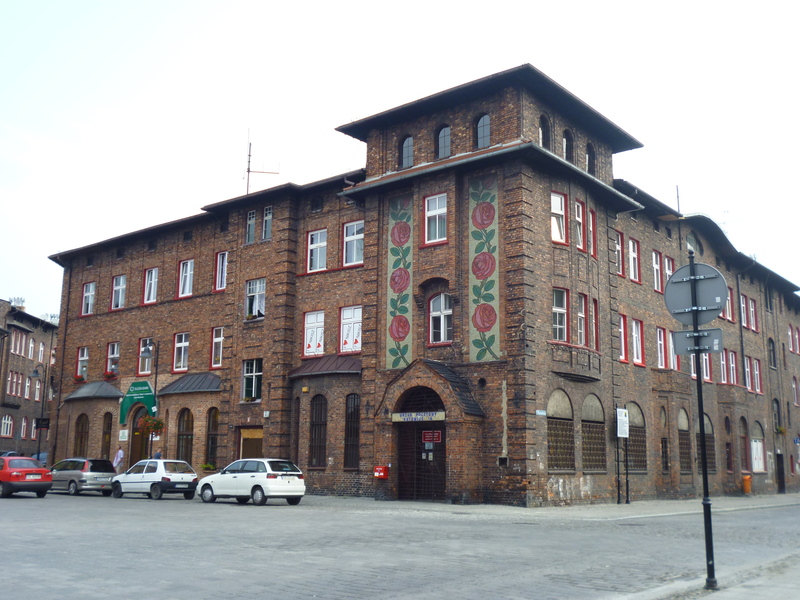 kopalnia “Wieczorek”). Playing for 4 minutes, orchestra moves to another places in Nikiszowiec. Such a round-Nikiszowiec-orchestra- wake up-tour. I follow them, but orchestra walks quicker than me. Musicians escaped. But after 10 min musicians appeared at main square. And journalists appeared. And look at this Polish winter! Let it snow, let it snow… Winter fairy tale. Woke up half an hour before alarm clock I have some time before ready for work. I go to local bakery to buy something sweet for breakfast. Such a one morning story. We love Nikiszowiec. We adore Nikiszowiec. 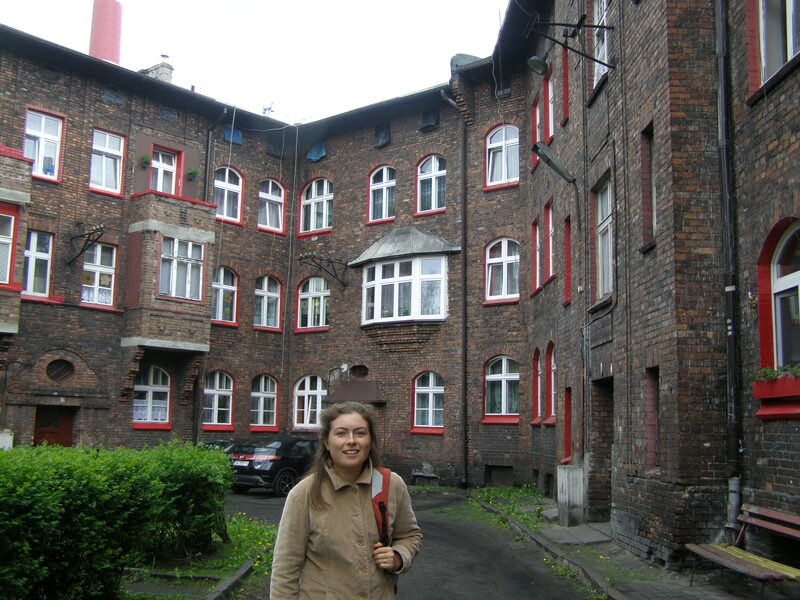 If you ask me the only place to visit in Katowice – My answer: Nikiszowiec. 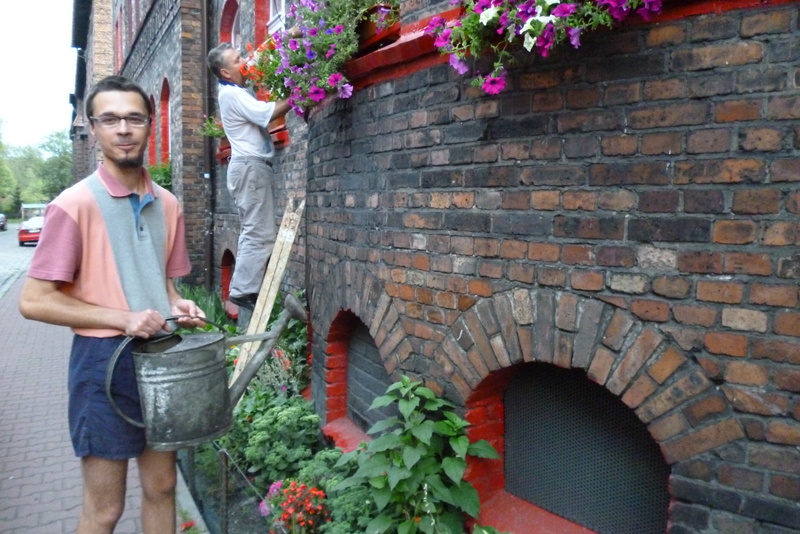 If you ask me the only place to visit in Silesia – My answer: Nikiszowiec. It is our 22 article on blog, but all the time we wanted to write about Nikiszowiec. Now I did it. 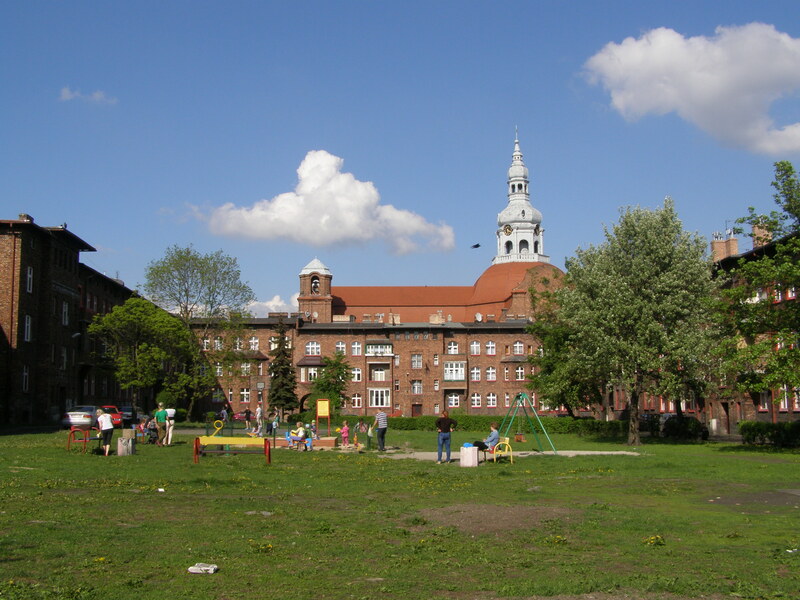 Nikiszowiec is district in Katowice. We, Tetiana and Maria, actually live here. Our flat is on the ground floor. Director of our organization bought flat here quite cheap as reasonable investment for future. 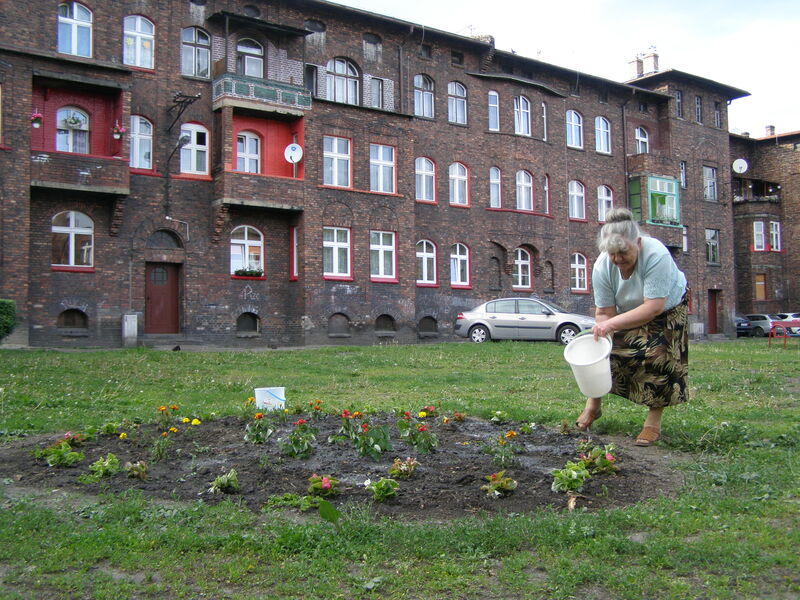 Still Nikiszowiec has image of criminal and dangerous for life place. Miners were never intellectual people, sorry. 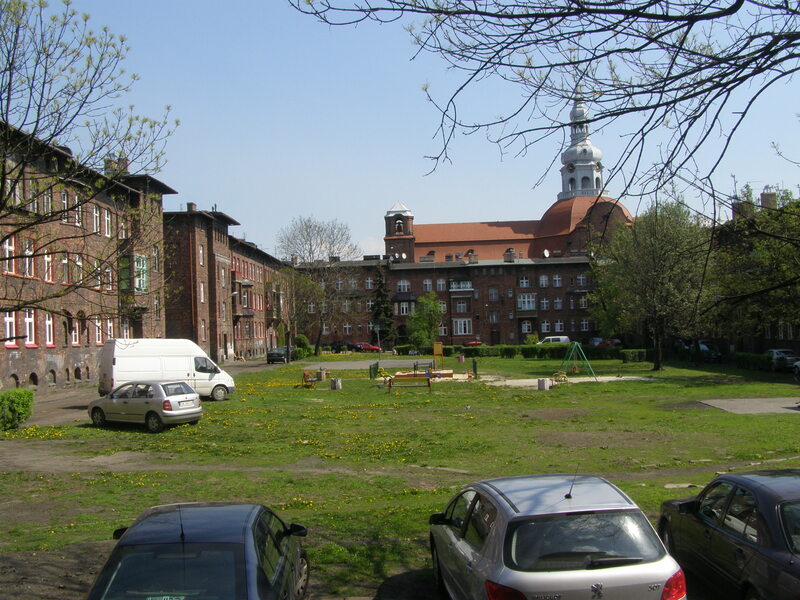 Nikiszowiec, as historical settlement, erected in the beginning of 20 century. It was housing for miners and their families. Mine is located 5 min on foot. 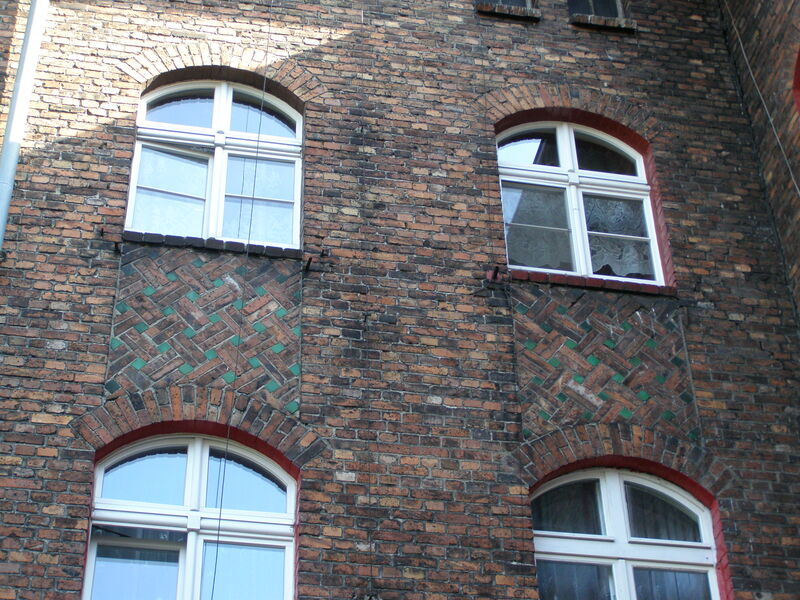 Heighborhood has 2-floor houses built from characteristic red bricks. Each of 9 estates has square or triangle form, surrounding large inside courtyards. Streets are narrow, strict, dark, without trees. Buildings connect by gateways, so here is a feeling that you are in encircled cozy fortress. 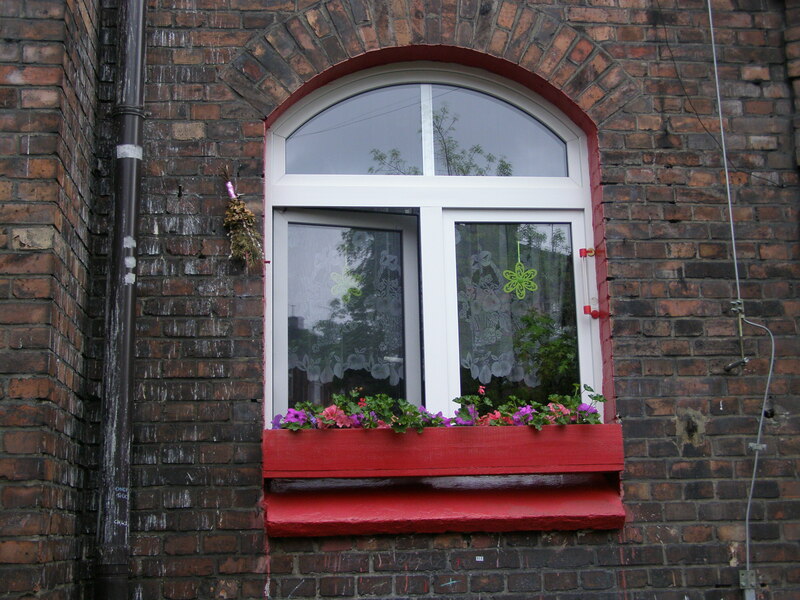 To enter internal yard is possible through archs in houses. 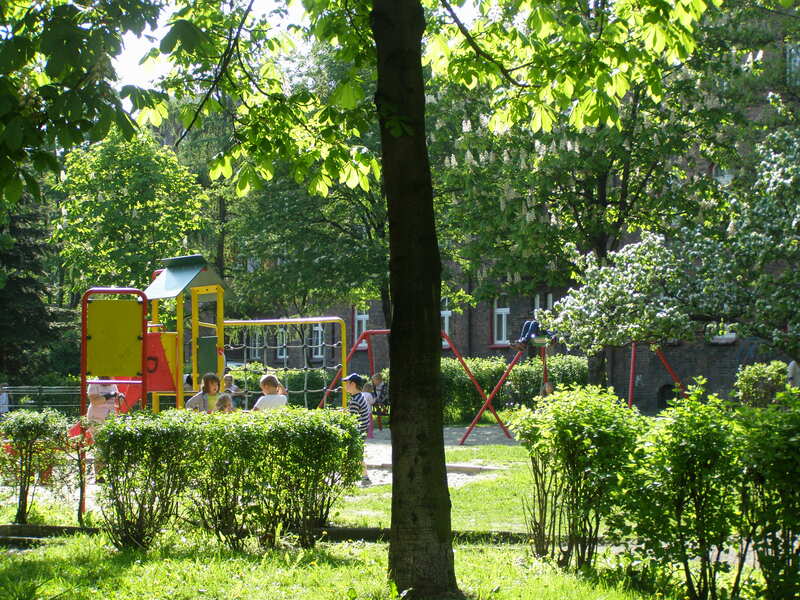 In courtyard you can see another picture: trees, grass, children playgrounds, benches. I heart that the idea of design is like this. Yards are enclosed from all sides by building, because women were sitting in balconies and keeping an eye on their children playing in yard. Wives of miners didn’t work, because husbands earned enough money. Design of all buildings has one style, but each building is little different. 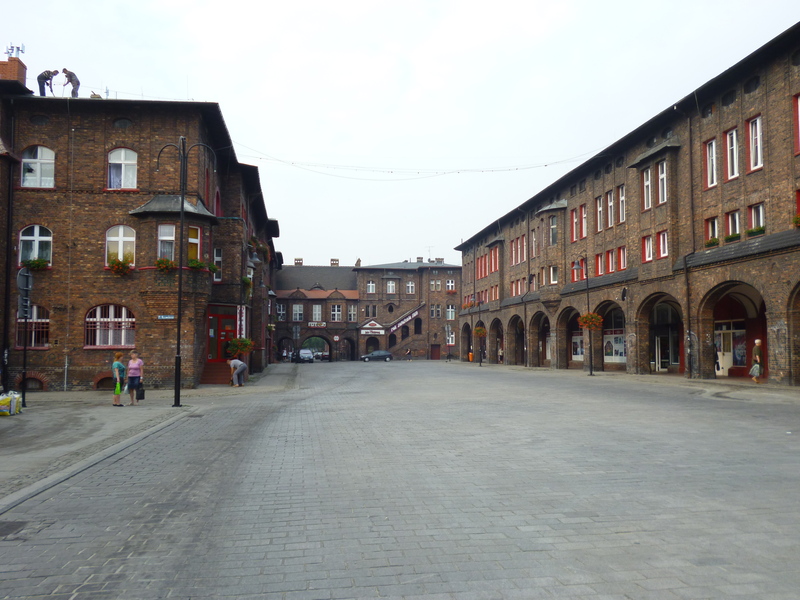 Some people say that Nikiszowiec looks like getto or like Auschwitz, because of street lights and low red houses. This area had worked as everyday self-autonomy. It has school, shops, post office, pharmacy, restaurant, laundry, church and even sport complex. Around here is forest, complex of small private gardens, mine, railway. Quite isolated. 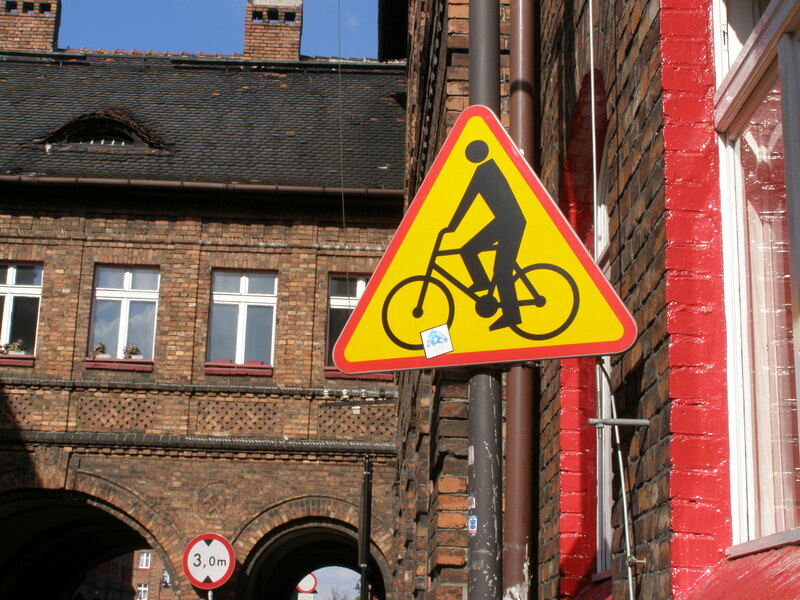 Nowadays Nikiszowiec has good transport communication. To come to Nikiszowiec from Katowice center you should take bus N 30, 12. Check map. 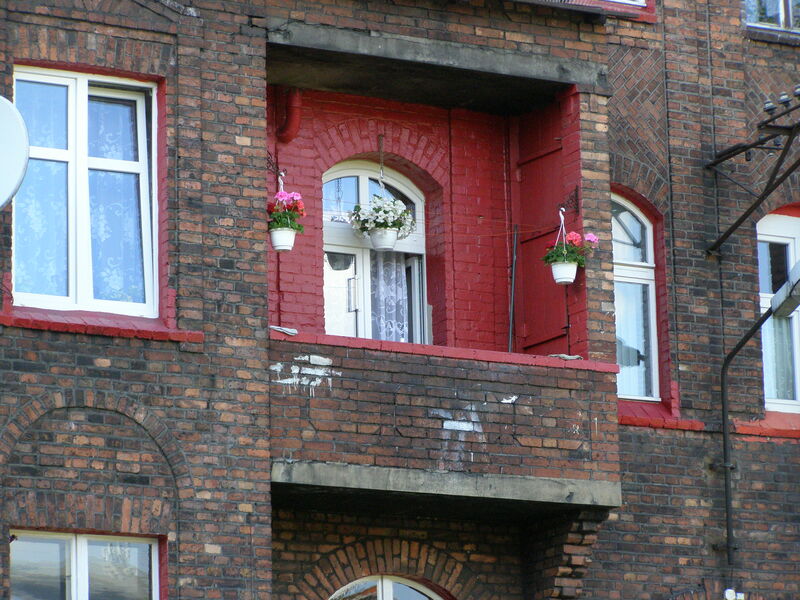 All flats have white windows with red frame painting. 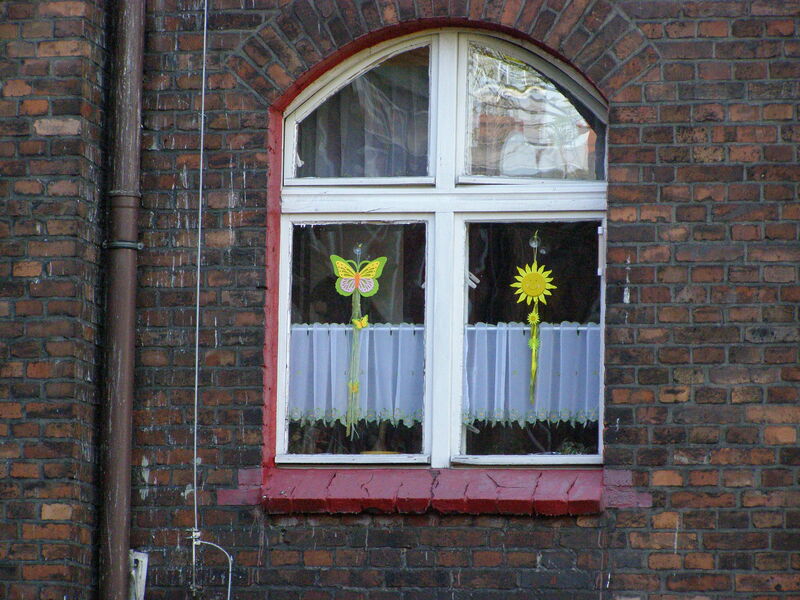 I saw only one wooden brown window. 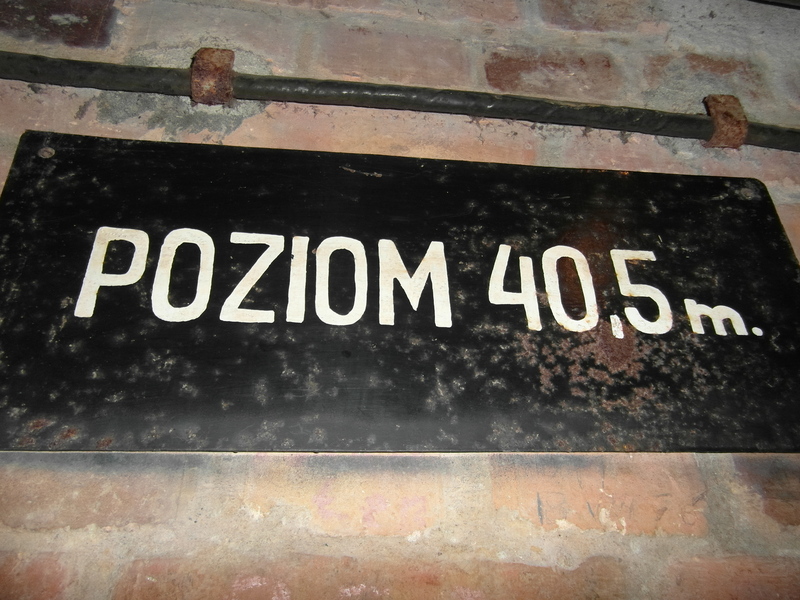 In 2011 Nikiszowiec was awarded the prestigious status of Monument of History of Poland – one of 48 objects in Poland. 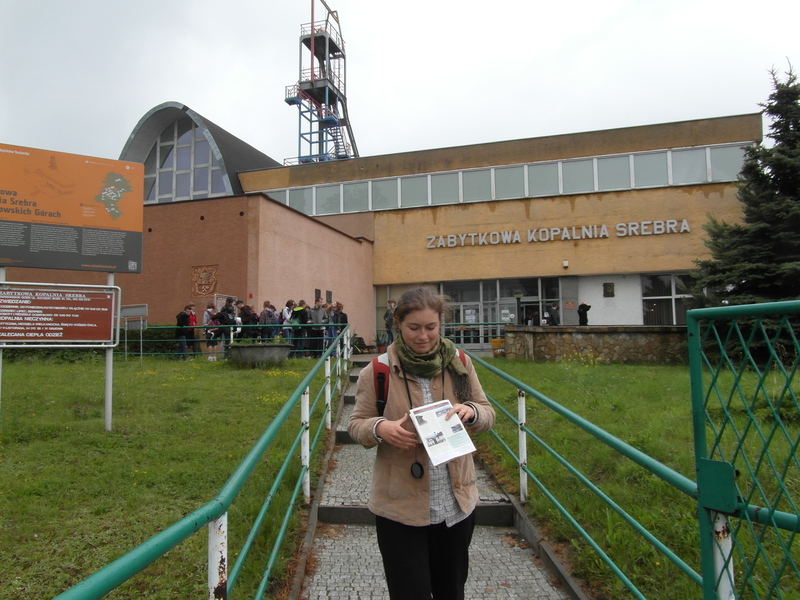 Now Nikiszowiec is third object in Silesia in in this list together with Silver mine in Tarnowskie Gory and the Bright Mountain monastery in Czestochowa. 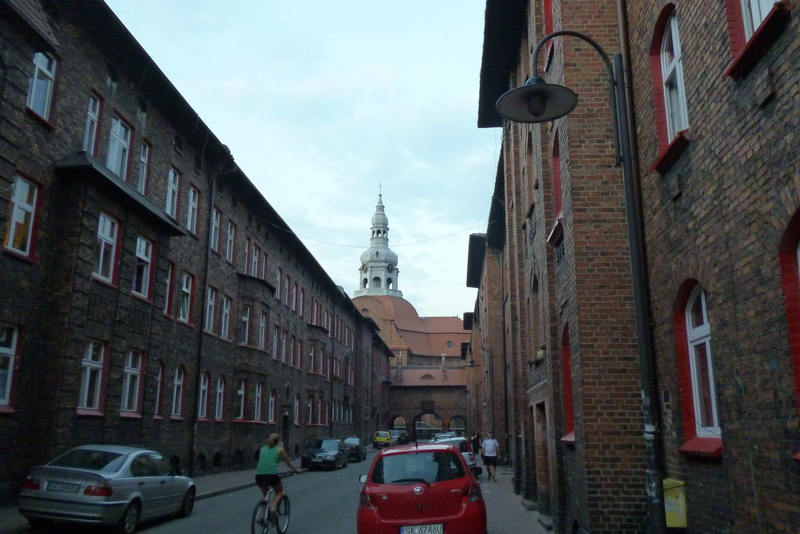 Monuments of History are city centers of Krakow, Wroclaw, Warsaw, Gdansk. 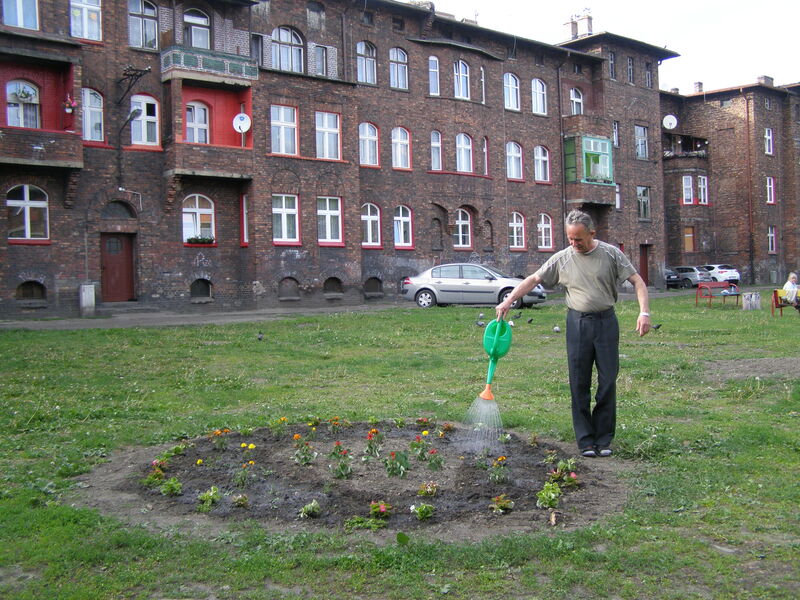 Not everything is perfect in Nikiszowiec. 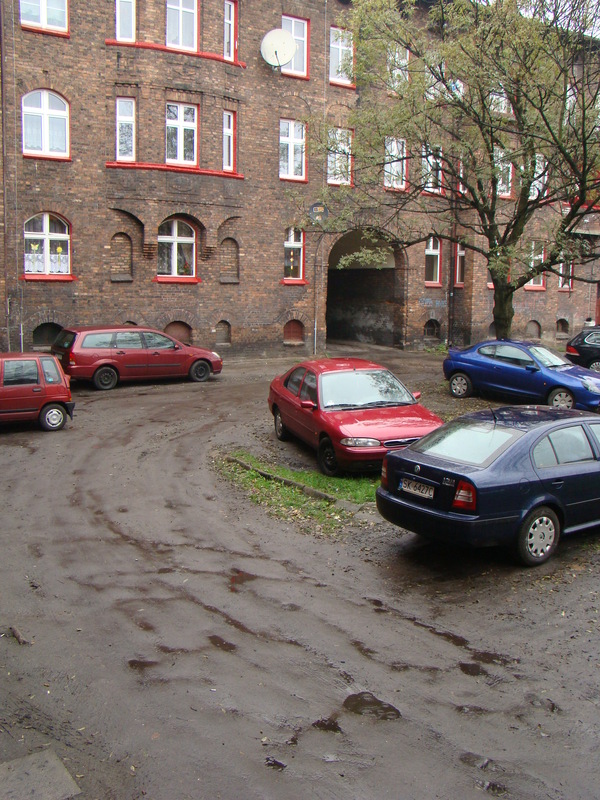 Absence of car parking forces people to park on pedestrian road. As I mentioned, streets are narrow here. 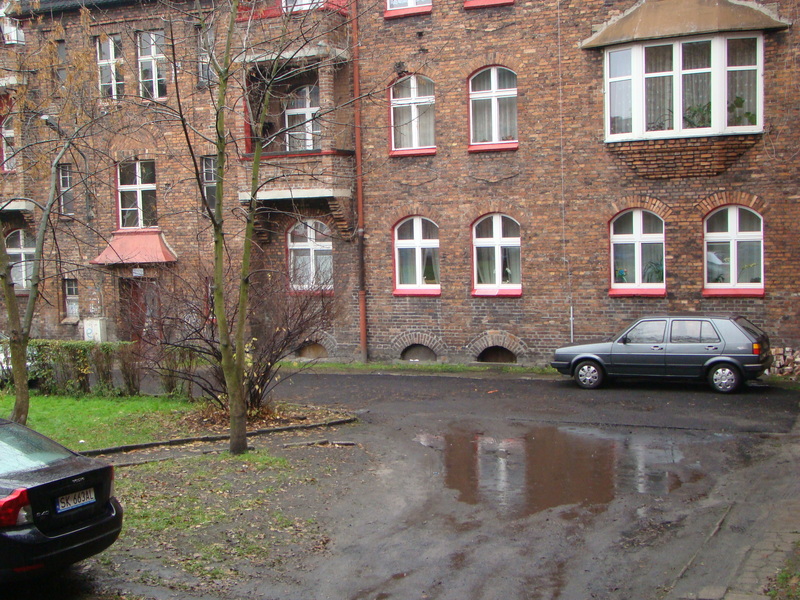 Or cars are in courtyards under windows. In our yard there is no asphalted road. And like in the beginning of 20 century we have mud when it’s raining. 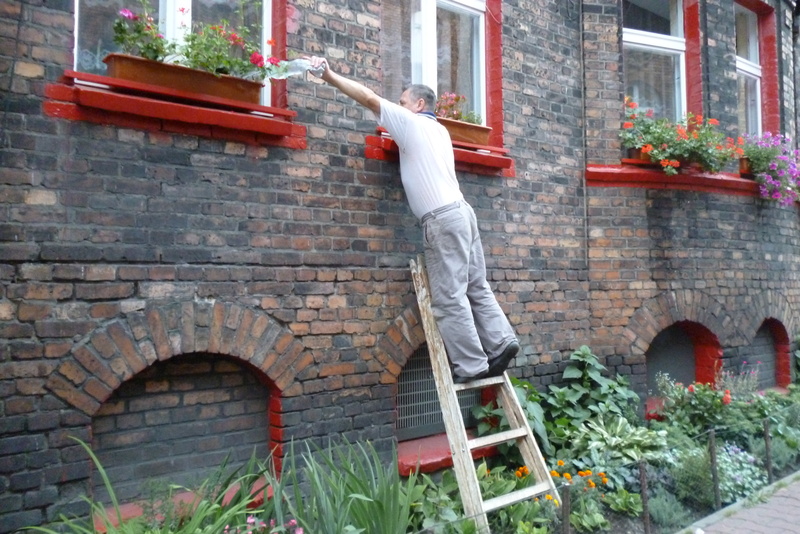 Coal is the product, which made Silesia rich one day. 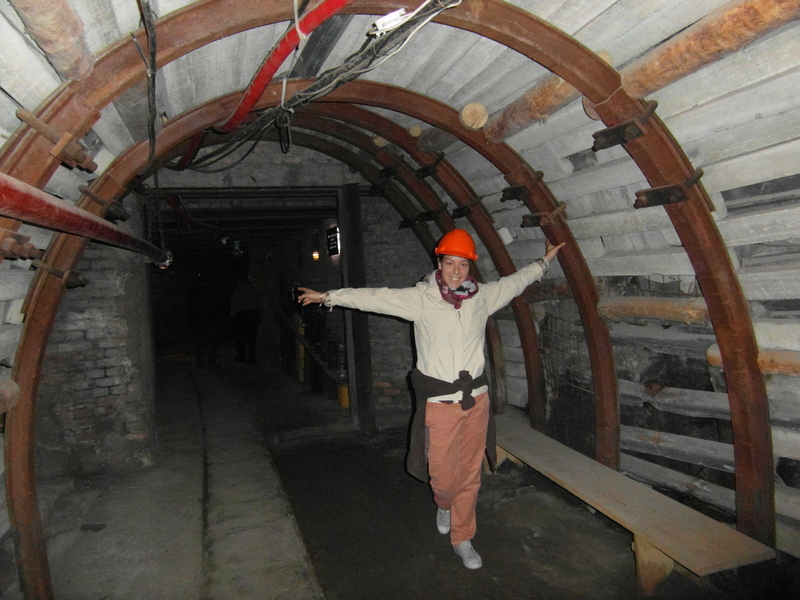 Now a lot of coal mines are closed, and visitors can go to guided trip down to see what it is about – production and output of coal. Mine calls Guido in honor of the founder of the mine. 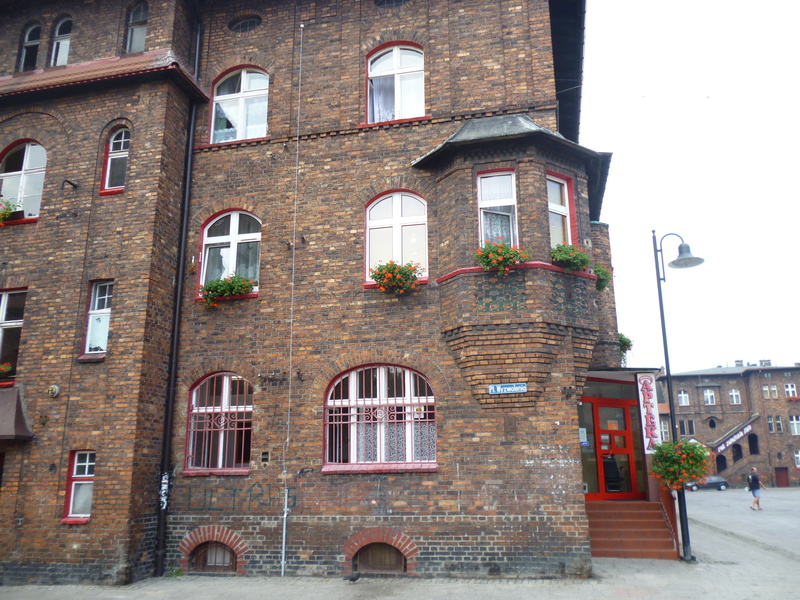 It is situated in Zabrze – town in Silesian agglomeration, close to Gliwice. Web-site. Address. 8 persons stay in narrow elavator, feeling breath of neighbor person, in full darkness, hearing rumble of metal construction. Horrible experience! As former volunteers told in their blog: “I don’t want to die here, please”. We took this terrifying elevator several times. First part of excursion is on level 170 m below. 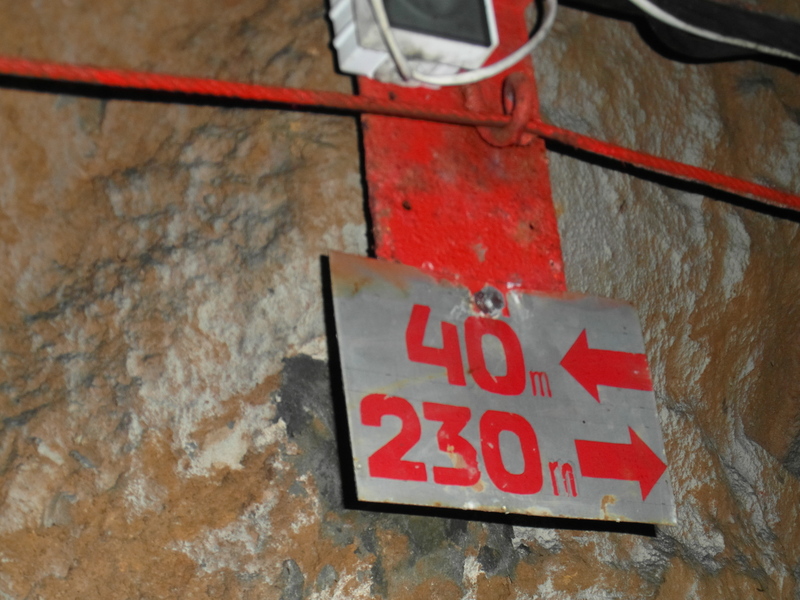 Second – 320 m! 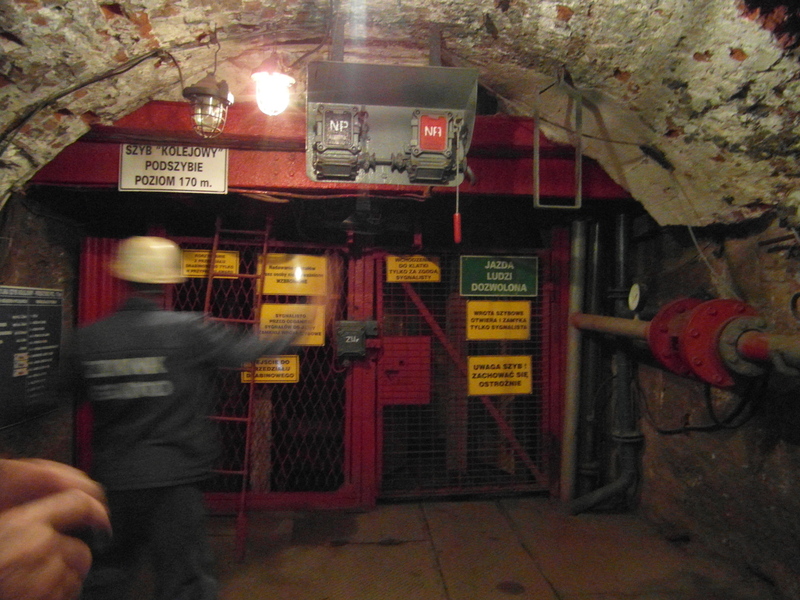 Guide talked to us not in Polish,but in Silesian language. 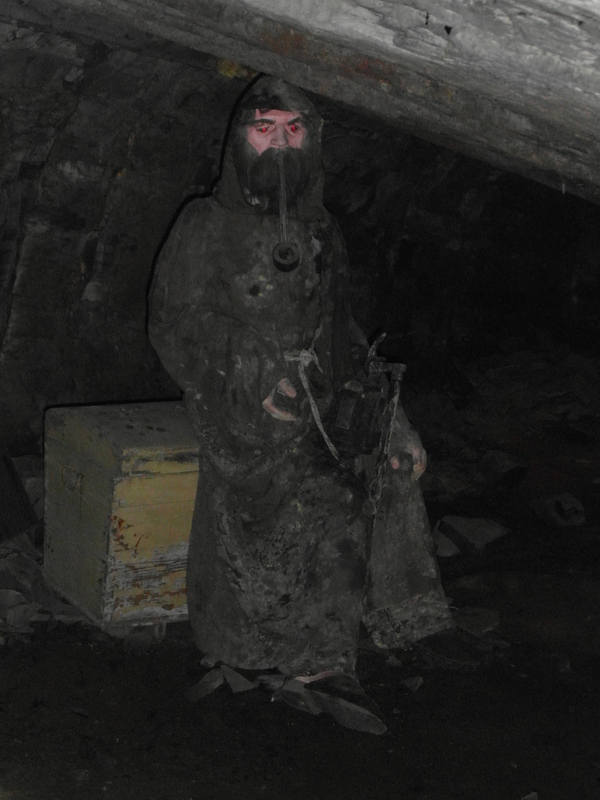 He is former miner. All the time he told jokes, during tour jokes started to be more and more open and dirty. 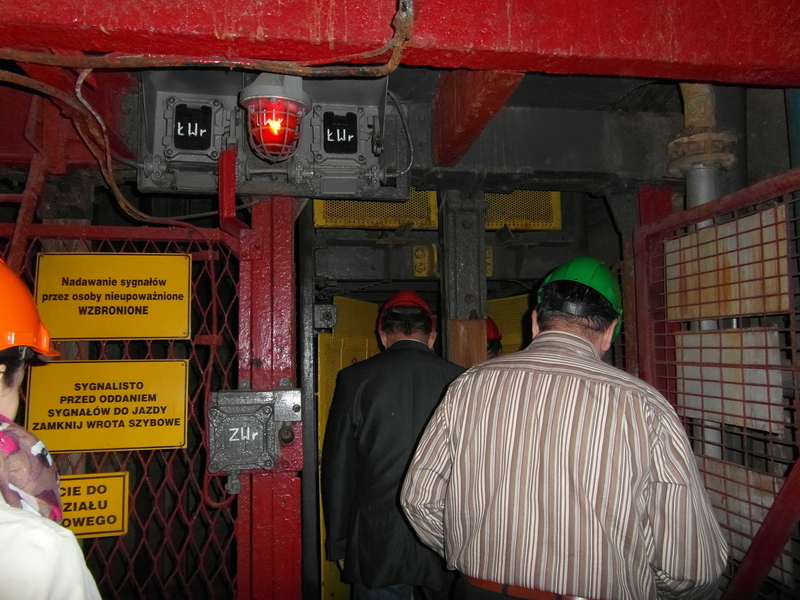 First part of tour is quite safe and boring, connected to history of mine, technology of output of coal, working instruments and conditions. 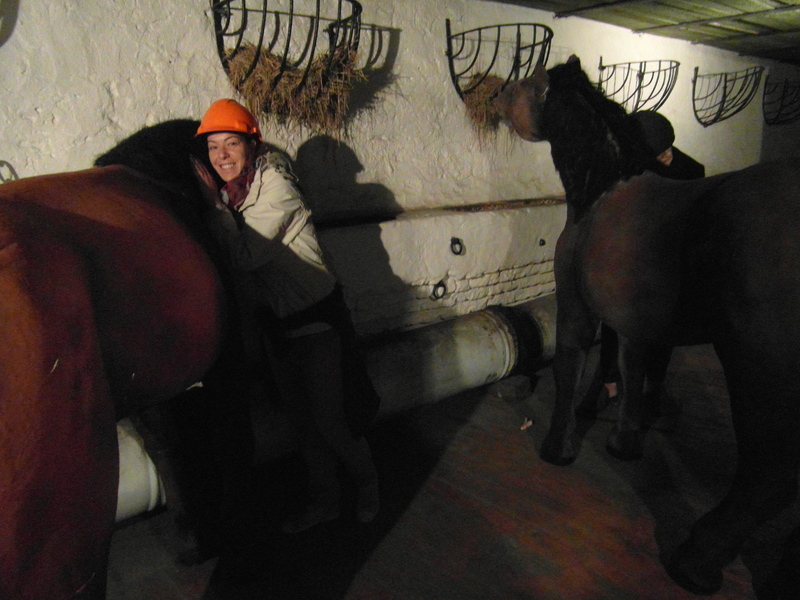 We got to know that horses were working, living, eating and dying in mine. All life in darkness. 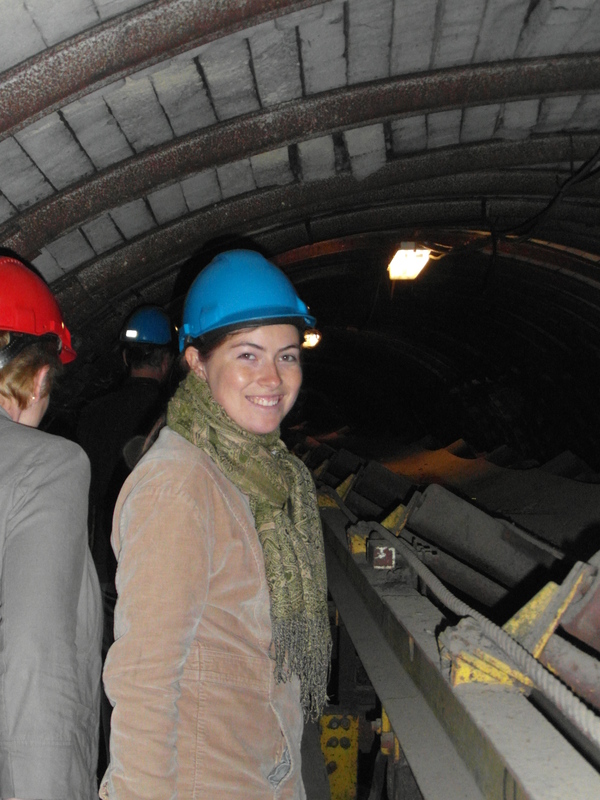 But the second part of tour – by your own eyes you can observe how enourmous mining machines work. Machine is 10 times larger than person. We saw long working conveyors. 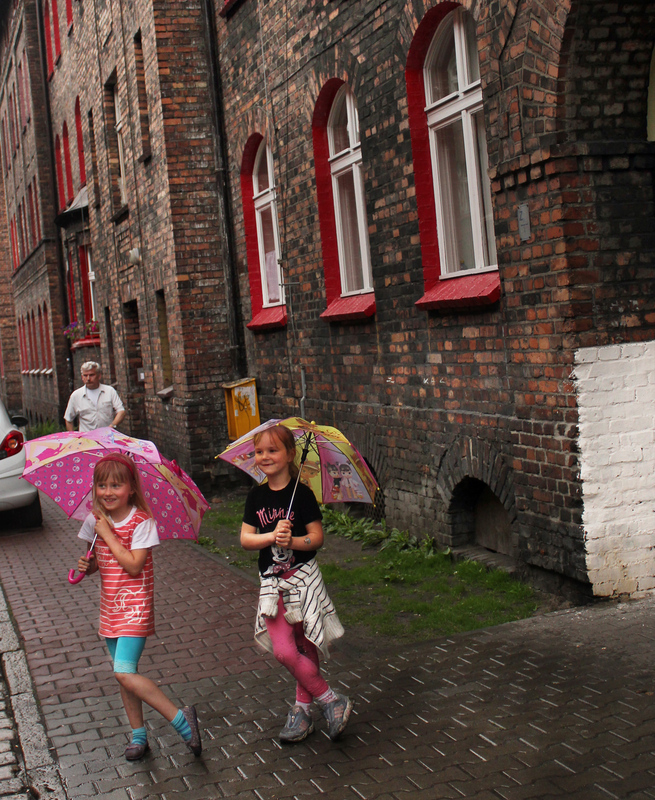 We walked with bended back along short and narrow corridors. Also we met Skarbnik. Skarbnik is the ghost, living in mine (actually in each mine). 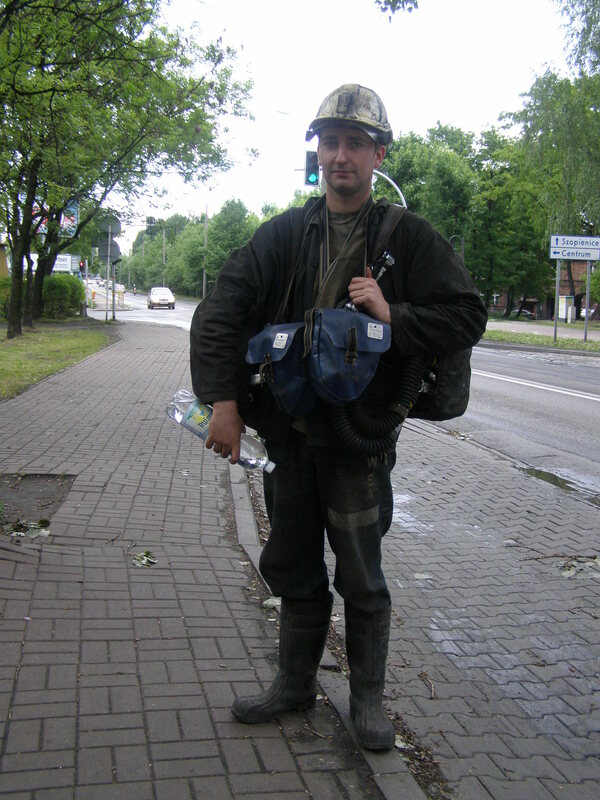 If miner behaves well, works silently and respects nature, Skarbnik shows to miner treasures. If not – it’s better not to behave bad. Mystery is everywhere in dangerous conditions of work. 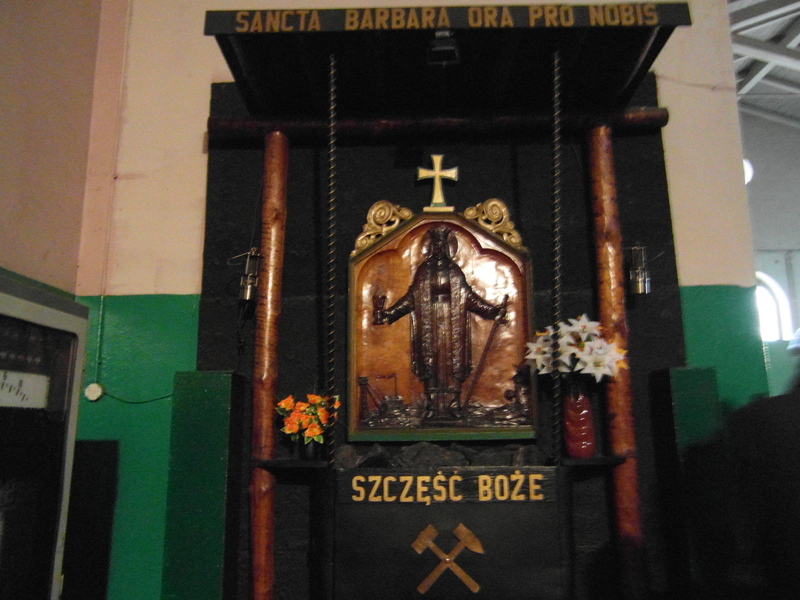 St. Barbara is the patron of miners. As for me 3-hours excursion was really tiring. After it I came back home and just sleep for several hours in day time. Maybe, the speed of elevator was very high, what causes pressure jump, or we were really deep, or it doesn’t have enough oxygen, but a lot of coal dust. Anyway, this museum is worth to visit, and take care about yourself. 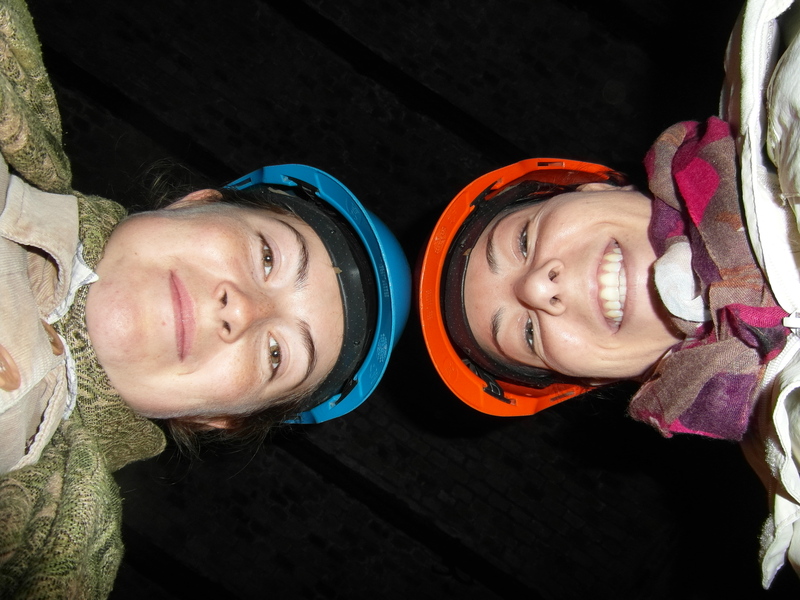 It was our second mine with Maria, we were before in Silver mine in Tarnowskie Gory. 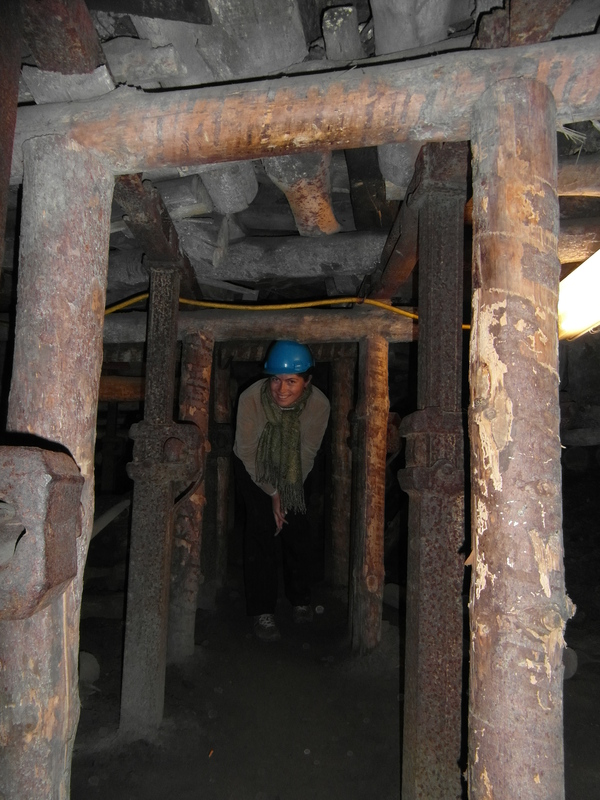 First mine impressed us more – because it was simply the first. Mines are different. I can not advise where you had better visit. Both of them are life-long memories. 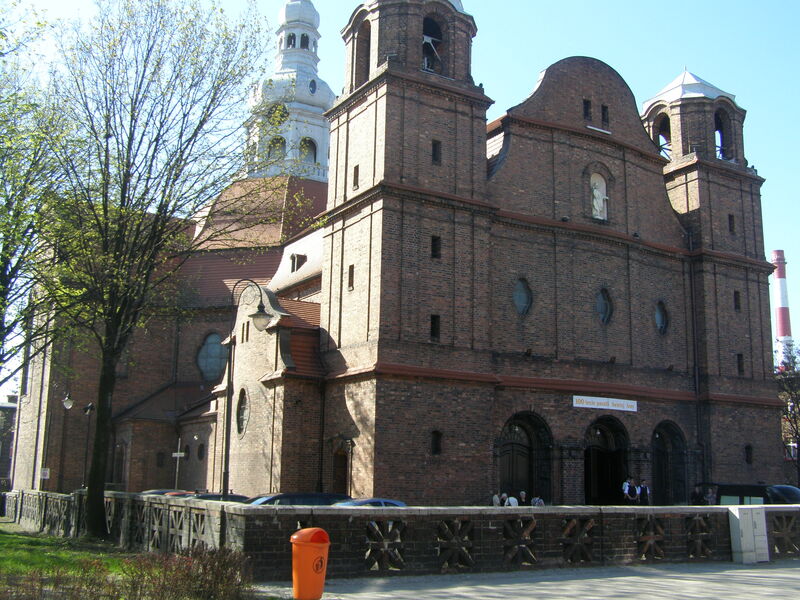 Katowice is the capital of Silesia region. And we live here. 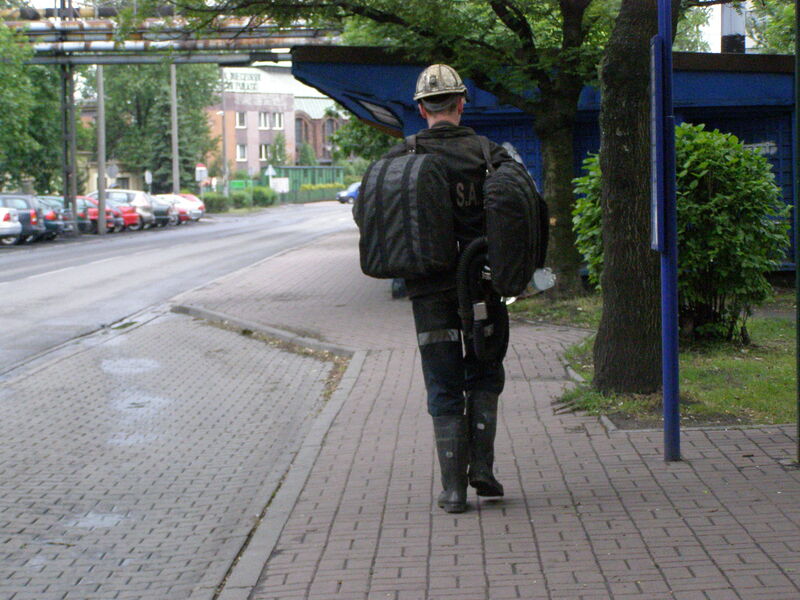 Not from underground, but at least from outside (though miners earn a lot of money, are you searching for job?). 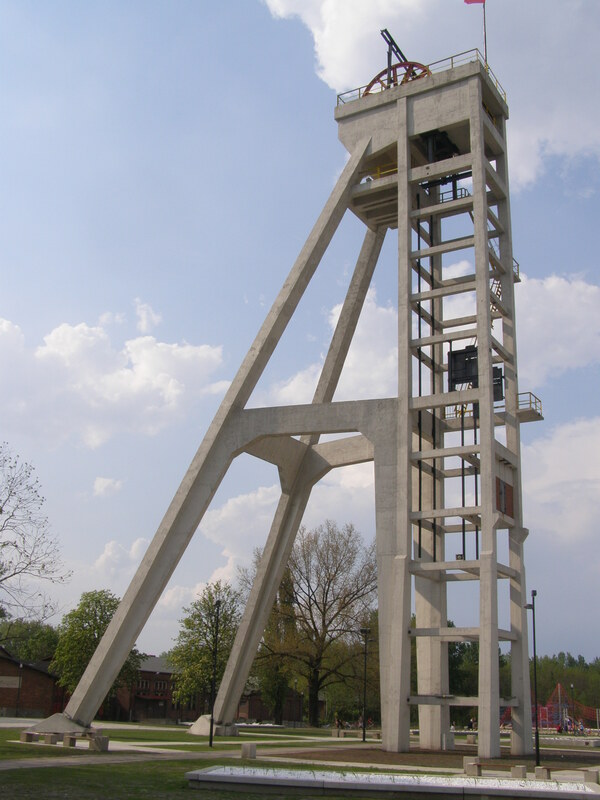 If you see huge triangular tower with wheel on the top – it is a mine. This is what construction you should look for (not working mine). 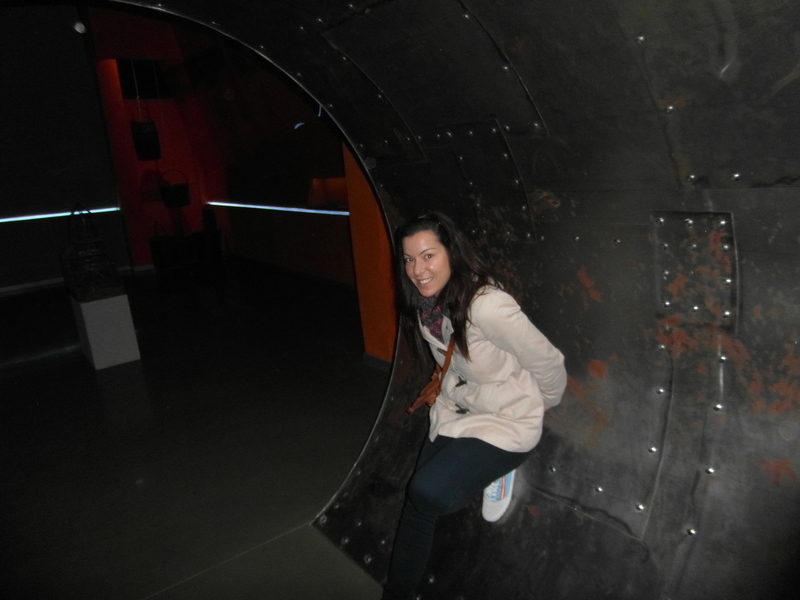 If the wheel is going round – it is a working mine. Find a miner (attribute: dirty hands and face, overalls, helmet, long boots), made a picture with him and then show to your friends. 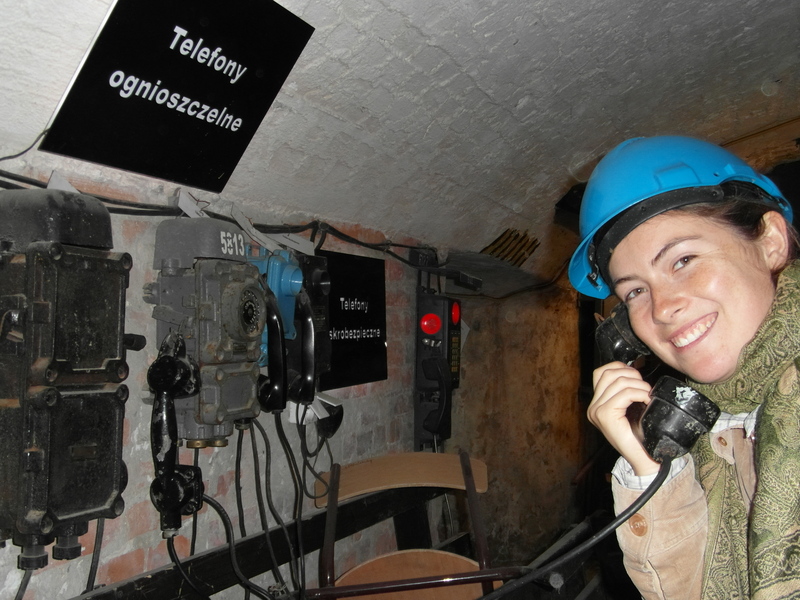 Though if you are not attracted of high salary of miners, but still you are interested, go to Tarnowskie Gory and visit real mine, which stopped work more than 50 years ago. Read our article. In 20 century UFO was flying above Earth. 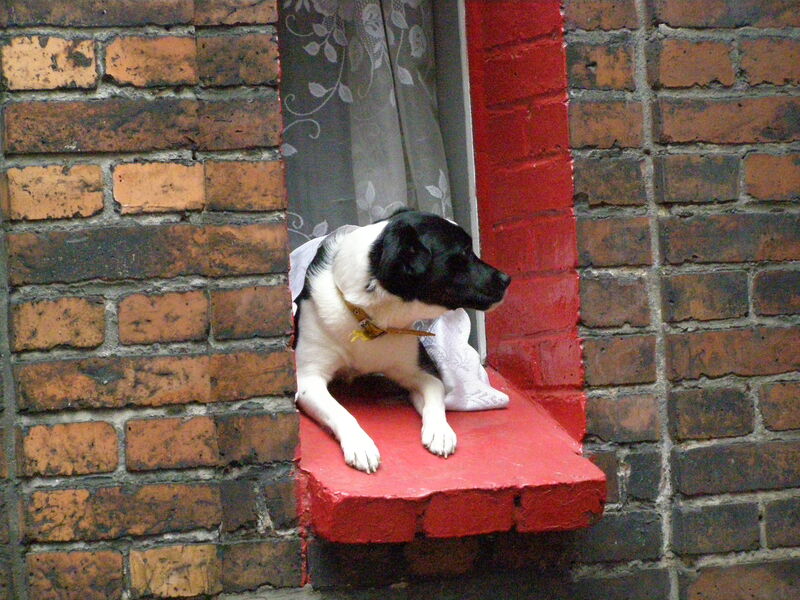 And in 1971 it arrived to Poland, in Katowice. Petrol finished and UFO is still here. Locals start to call it Spodek, what means Saucer. 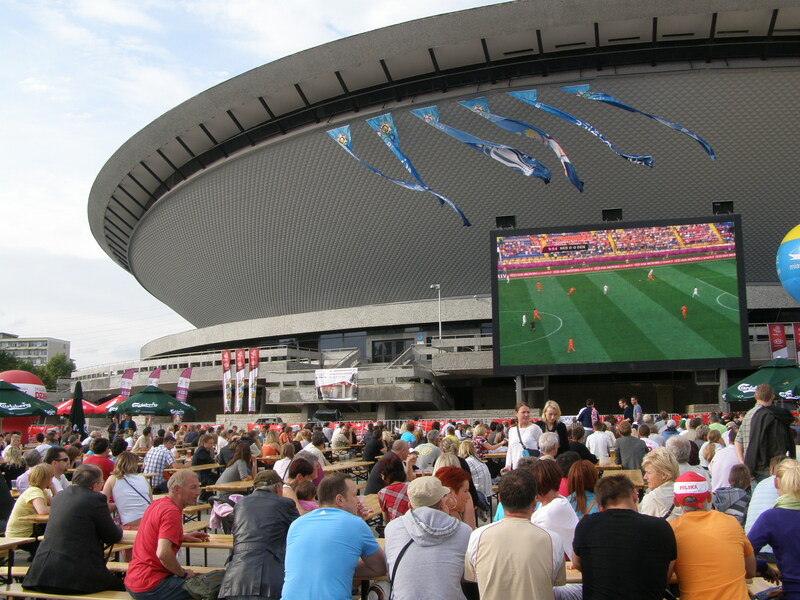 It is a not-football stadium – an example of communist period flight of imagination. 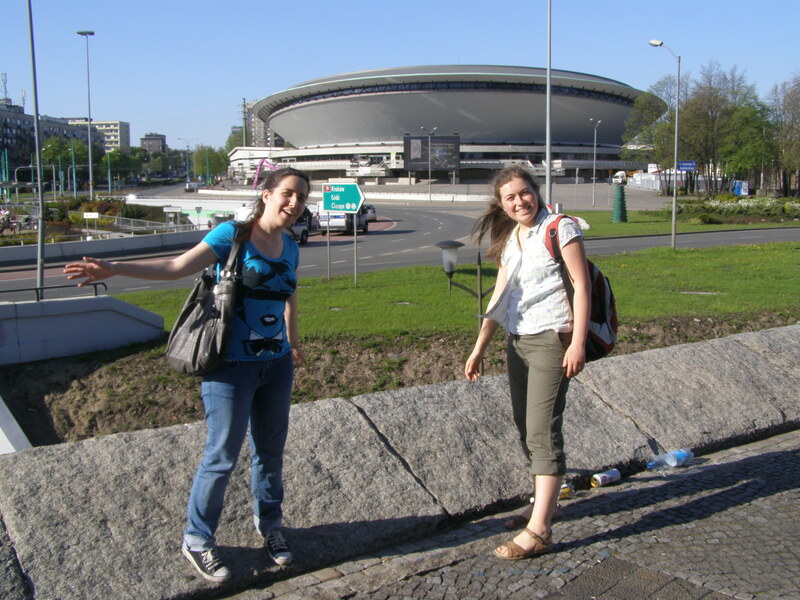 If you make photo here – this mean you were in Katowice. Football championship EURO 2012 madness. Spodek is easy to find. Near UFO you will see not less freak monument. 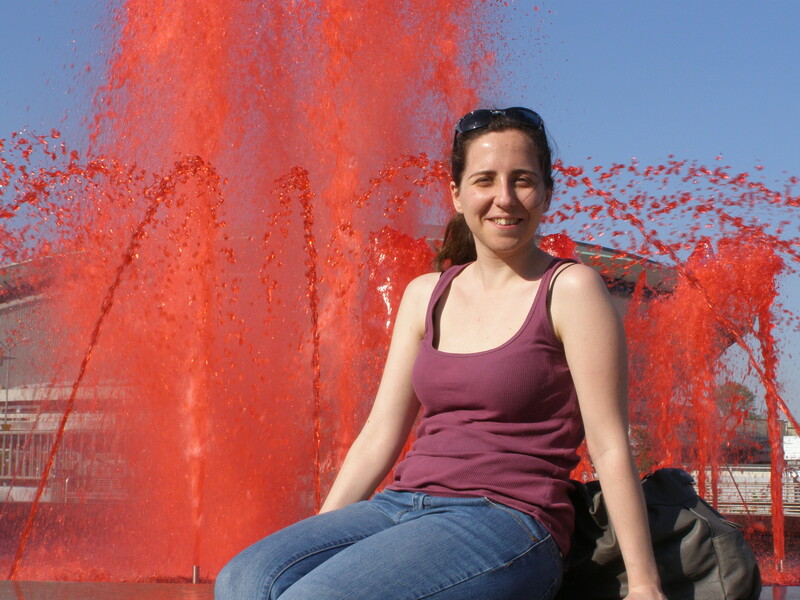 I saw in different time this fountain with yellow, with red (actually it is a blood, and Dracula is from here) and with normal transparent water. 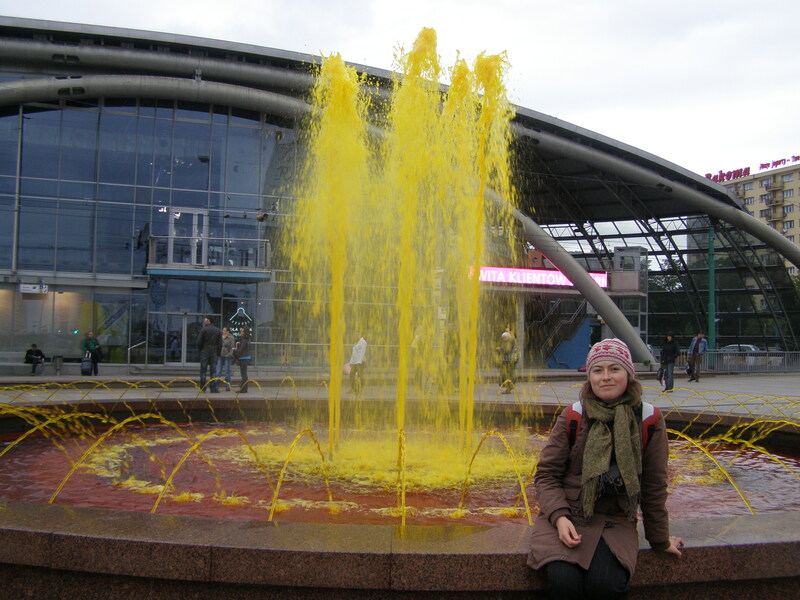 Fountain is situated at square near Spodek. For sure we will write big and full article about Nikiszowiec. It is a place with combined magic fairlytale and getto athmosphere. 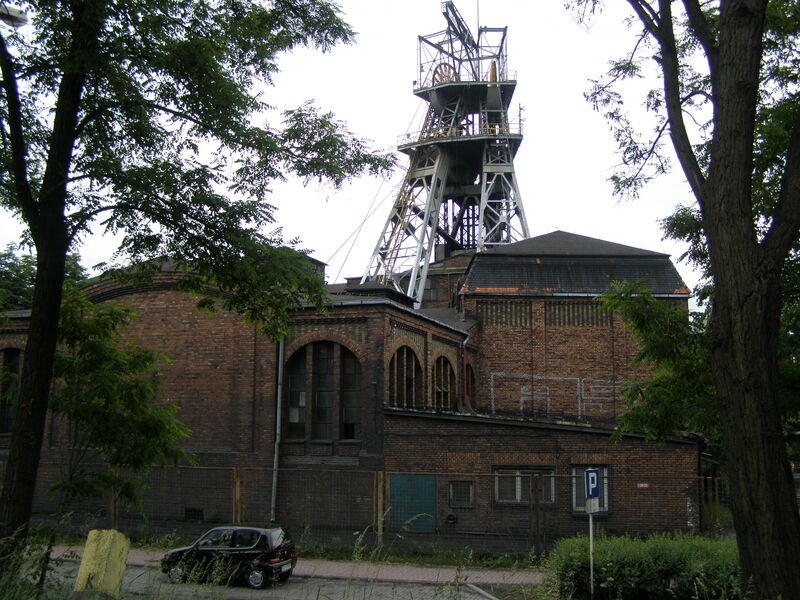 It is heighborhood built for miners in beginning of 20 century. 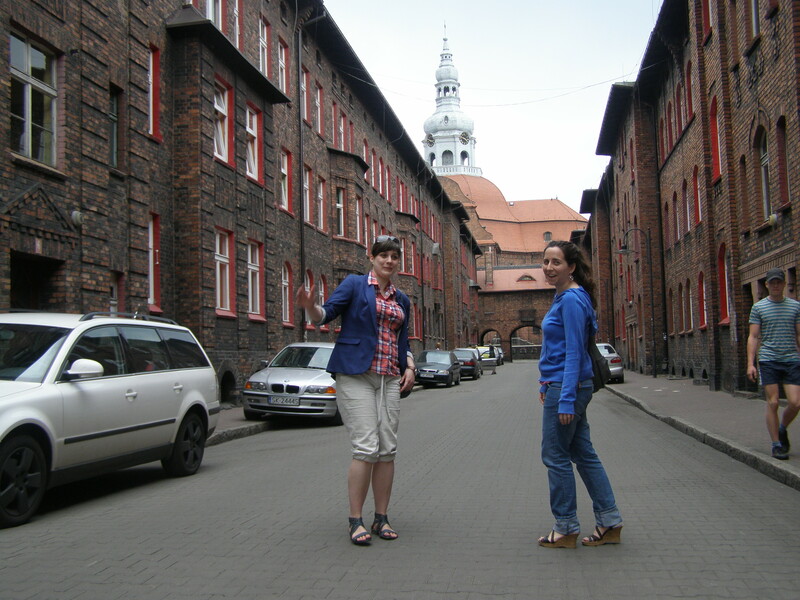 Maria and I – we live in Nikiszowiec. Here is a view from our flat. 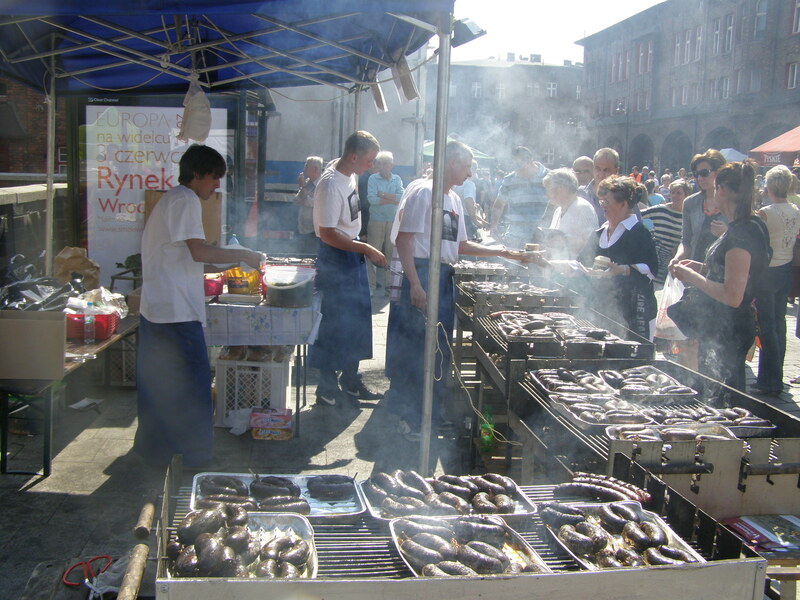 To come to Nikiszowiec you should take bus N 30 or N 12 from city center and go 20 min. 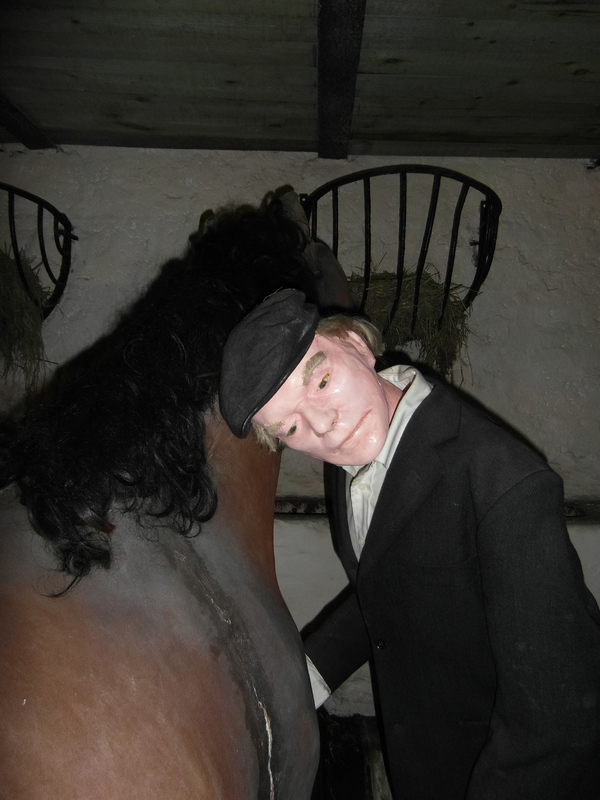 One of the biggest attractions in Tarnowskie Góry. Access by bus from Tarnowskie Góry Bus Station; lines 151, 734, 735; Kopalnia Zabytkowa bus stop. Access by bus from Katowice Stawowa; line 820; Tarnowskie Góry dworzec PKP bus stop. Normal ticket price: 27,00 zł/pers. It´s depend of age, group and guide tour. There is a possibility of foreign language touring (English, German, Russian, Czech). 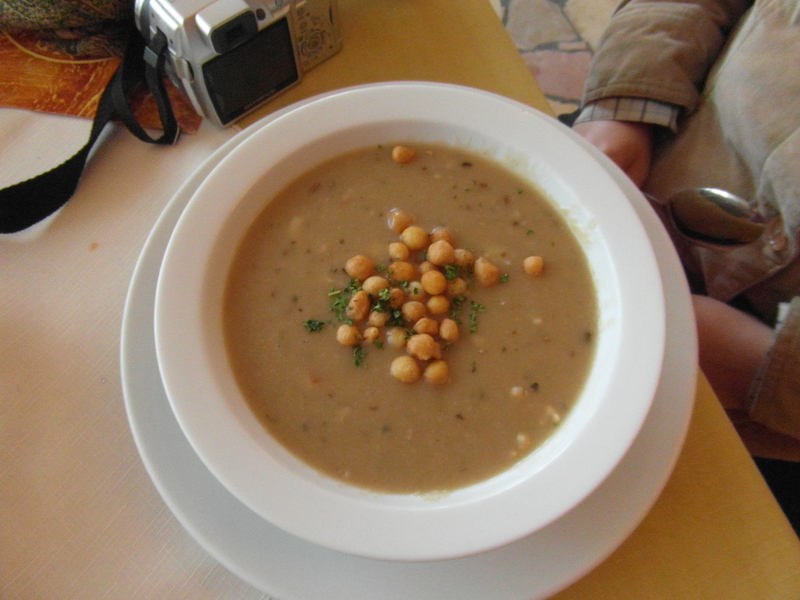 Open: Every day from 9.00 a.m. till 3.00 p.m. In June, July and August on Saturdays and Sundays from 9.00 a.m. till 5 p.m.
Open to visitors since 1976. 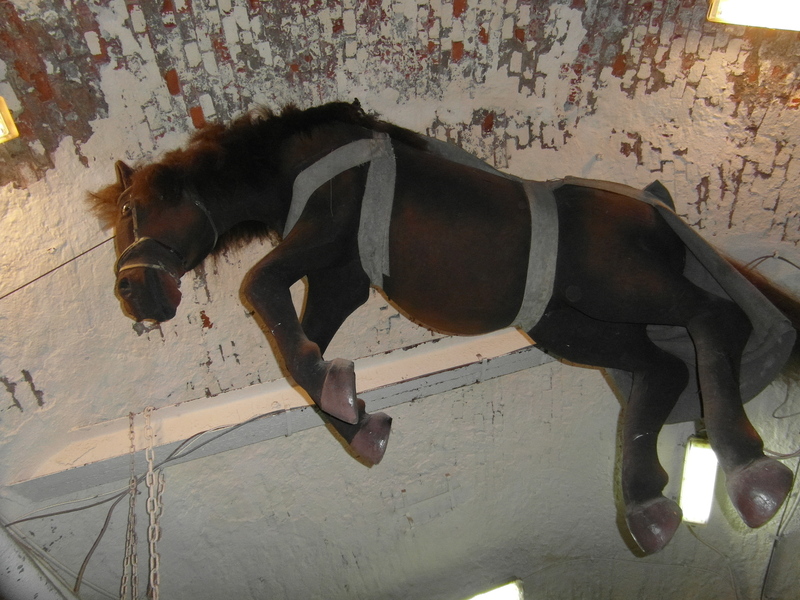 The first part of this museum is on a building where through models show how it is the mine in reality and the different instruments that the miners used while working. You can use computer inside this building and get more information about this mine.You can find it in differents languages. It is also projected a funny documentary of this region. 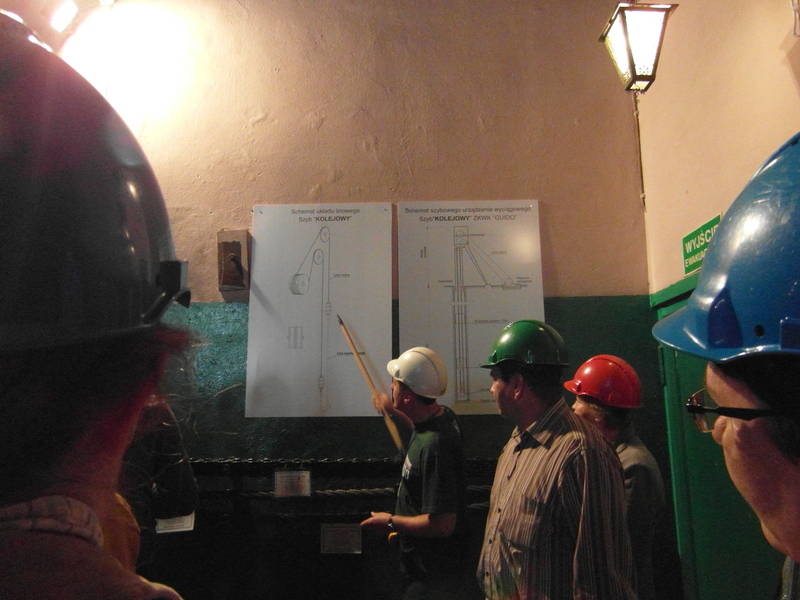 After visiting the exhibition, tourists must put a helmet and go down into the mine by means of the original miner´s lift. 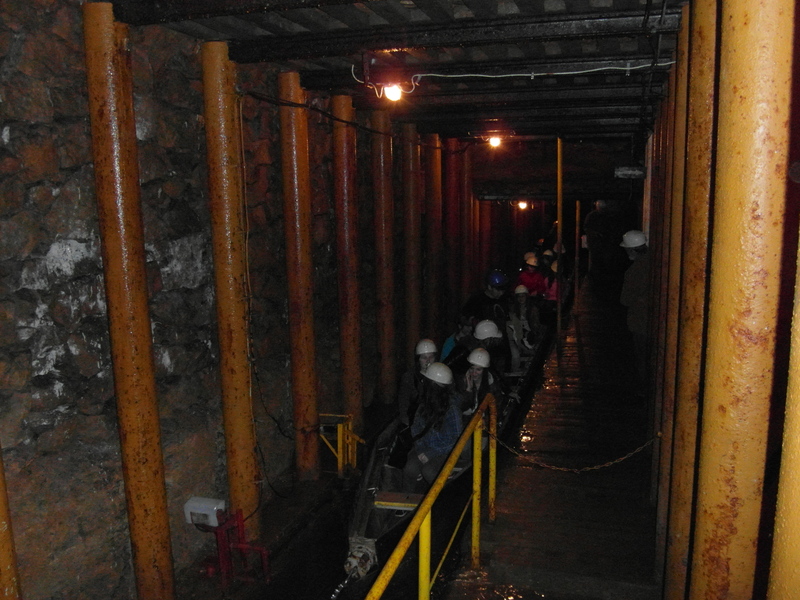 The underground of the ancient ore mines dating back to 16th-19th century. Inside there is a constant temperature of about 10ºC, provided with electric lighting, has been adapted to the visits of disabled persons. It is cold! So wear warm clothes and be ready. 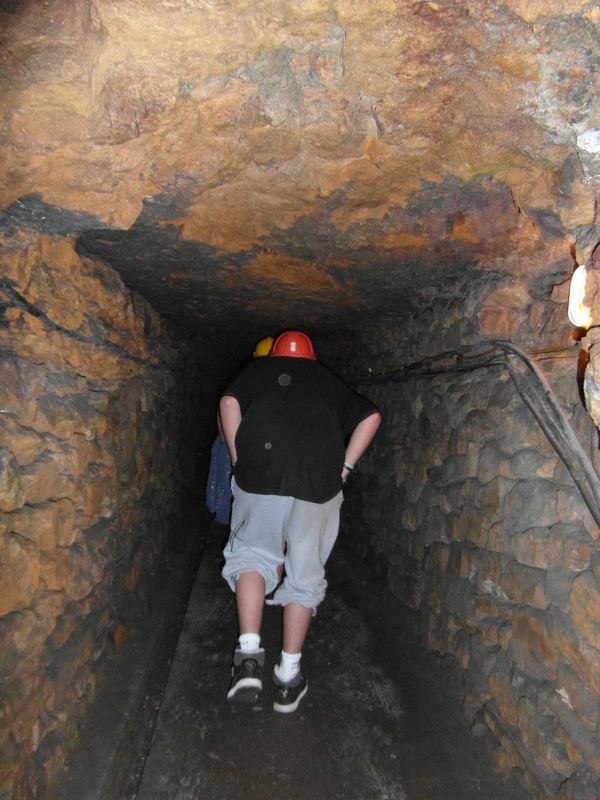 It takes about 1.5 hours to visit the mine with a guide. 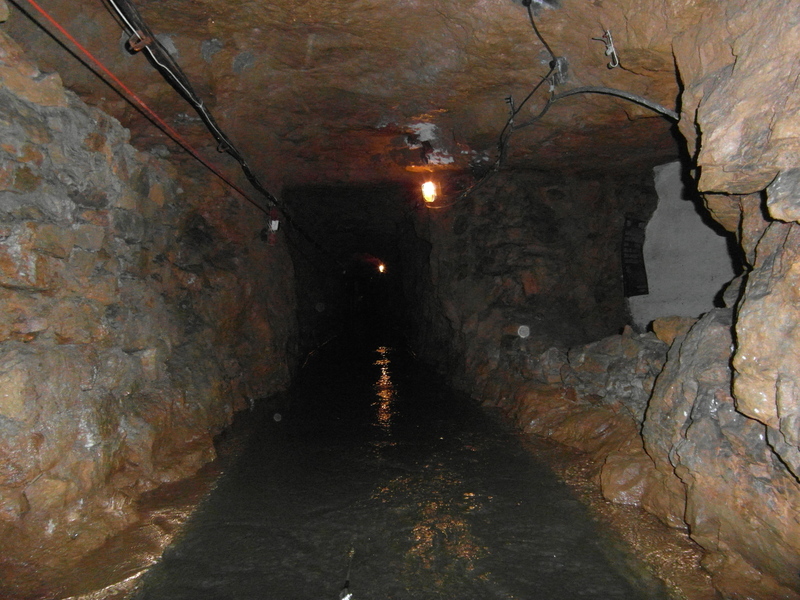 The underground tourist trail, at a depth of about 40 m, has the length of 1740 m and 270 m is to be crossed by boats. Each boats have the capacity for almost 30 people. 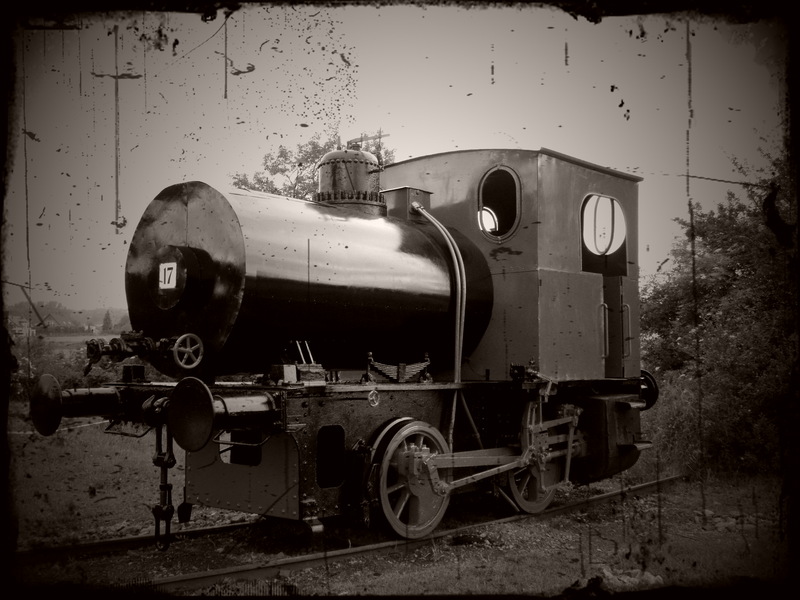 Outside on the surface in the area surrounding the mine, an outdoor Museum of Steam Machines has been organized. 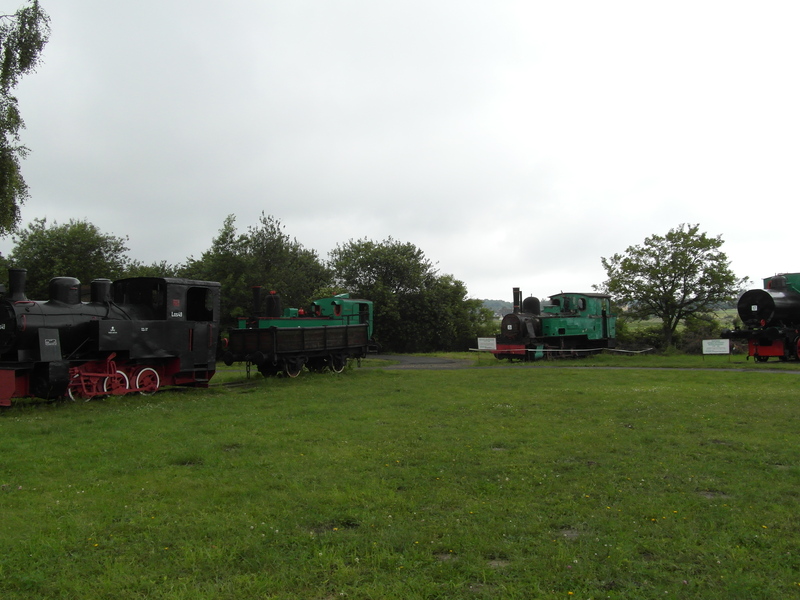 Among the 31 exhibits the most numerous group is formed by narrow-gauge railway engines from the beginning of 20 th century. 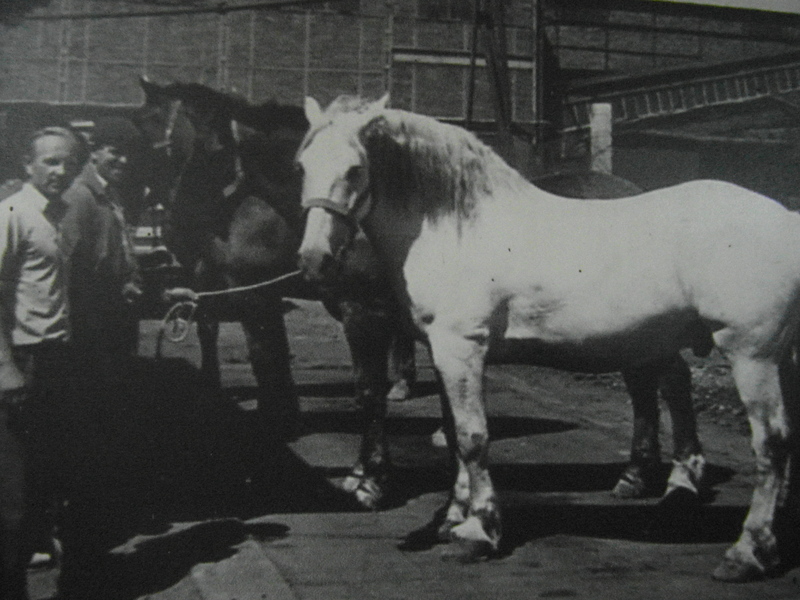 Also presented are hoisting machines and other equipment once powered by steam. If you are hungry or you want to buy some souvenirs you can find it as well.